 We are providing commodity calls in Zinc, Crude, Copper in future we may give on more commodities. 6. Zinc SL 90 paisa to Rs1.1 and TGT 90 paisa to Rs1.10. 9. Will have to exit at 11pm if neither SL nor TGT hits on the same day, no carry forwarding for next day. 10. Accuracy above 80% maintained. Accuracy calculated on month end basis. 11. Both Buy and Sell calls will be given as per market condition. IF ANY INFORMATION FOR EXIT OR PROFIT BOOKING IN MIDDLE WILL BE INTIMATED, IF NOT CALLS WILL BE CLOSED AT 11PM ON EVERYDAY.